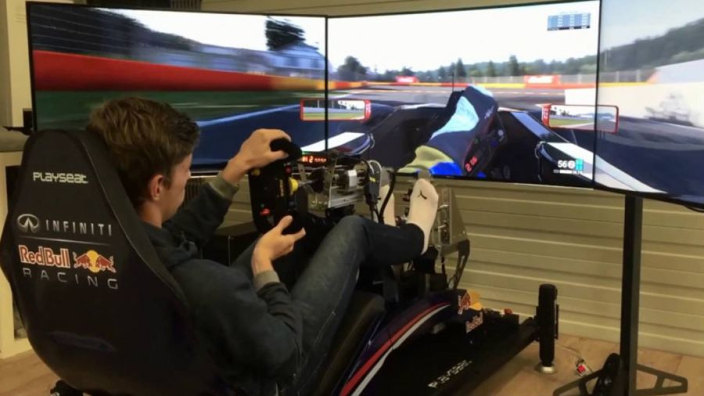 Max Verstappen believes that Formula One was previously behind the times with its partnership and attitude towards eSports, but believes the sport has made impressive steps forward in embracing the simulation benefits that can be gained from the gaming world. The Dutchman, who is a keen gamer himself, reckons simulation drivers can provide technical benefits for the advancement of F1 cars as well as the tactics which are employed by teams on-track. "F1 had been a bit behind in with esports so it’s good," the Verstappen told WTF1. "I know a lot of esports drivers, they are very, very quick. At one point they can also support us, doing simulator work a lot more instead of us going to the factory all the time to do the simulator. "I think it would be nice if they could eventually do that." McLaren have already made steps in this area, and have employed the winner of the World's Fastest Gamer competition, Rudy van Buren, to conduct simulation work for the team, and Verstappen thinks the gamer coming in to help the team doesn't really have any negatives. "It’s a great opportunity [for Rudi]. I think it was a really good competition as it’s not only getting someone that is actually good at driving, but also at things like PR," Verstappen continued. "He can talk and can actually help the team. He’s an extra man so, they had to go through a physical test as well, so yeah I think it was a good process. "You see it in a lot of sports, I mean football as well. The guys who are playing Fifa make a lot of money out of it, so it’s good."